Procedures in applying for seaman loan in the Philippines differ depending on lending company policies and requirements. Here at SeamanLoan.Com, we’ve made your application process faster and simpler by incorporating our own unique system. Add to that, we have devised our own unique-to-SeamanLoan.Com-only procedures by compacting and combining all the systems of our lending providers and rolling them into one easy to follow and understand step by step application procedure. It is also easier now to give you an estimate loanable amount using our simple loan calculator. All of that is because we want to give our clients an easy and stress-free experience with their application process. Just trust us and follow these procedures to help us guarantee you with hassle-free fastest possible loan release. Transact only with our authorized personnel. Call us for particulars. 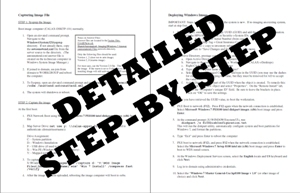 Step #5 – Submit application form and documents for evaluation (including that of your co-borrower). Step#6 – Wait for the whole process to succeed until approval and be ready for any need to ask questions by the seaman loan marketing assistant. At this point, all you have to do is to wait at least 1 whole day for lending company process to take charge. Release of loan will depend on the time you submitted your complete and correct set of documentary requirements. Don’t expect for an early loan release if you submitted your documents late. Bear in mind that there are other applicants ahead of you and in this case it is but fair enough to wait for your turn. No demands for any reason to be first in line will be entertained and it is strictly prohibited to compare your process with anybody else. Remember that each seafarer had unique situations and criteria so there may be times your application will get a head start than others and vice versa depending on different factors. Be patient and learn to wait for either the lending company update or from us or any of our representatives to approach you, should there be any problem. Trust and patience will play a very important big role.